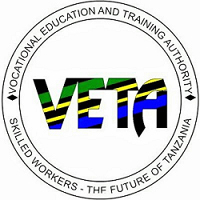 The Vocational Education and Training Authority was established by VETA Act Cap.82.R.E.2006 and charged with the functions of regulating, promoting, providing and financing Vocational and Education Training in Tanzania. The vision of VETA is to develop an excellent Vocational Education and Training (VET) system that is capable of supporting national social economic development in the global context. The Mission of VETA is to ensure provision of quality VET that meets labour market needs, through effective regulation, coordination, financing and promotion, in collaboration with stakeholders. x. Provide cancelling to trainees through physical discussion and advising in order to give direction and guidance for the better life of our trainees; and xi. Prepare monthly, quarterly/annual financial progress report by consolidating progress station records for onward submission to the superior. Form Four (IV) Certificate with at least 3 credits, plus FTC/Diploma in the relevant field (Agro Mechanics) and Vocational Training certificate or equivalent from recognized institutions with at least 2 years working experience in the relevant field. Form Four (IV) Certificate with at least 3 credits, plus FTC/Diploma in the relevant field (Secretarial Studies) and Vocational Training certificate or equivalent from recognized institutions with at least 2 years working experience in the relevant field. Form Four (IV) Certificate with at least 3 credits, plus FTC/Diploma in the relevant field (Welding and Fabrication) and Vocational Training certificate or equivalent from recognized institutions with at least 2 years working experience in the relevant field. Form Four (IV) Certificate with at least 3 credits, plus FTC/Diploma in the relevant field (Fitter Mechanics) and Vocational Training certificate or equivalent from recognized institutions with at least 2 years working experience in the relevant field. Form Four (IV) Certificate with at least 3 credits, plus FTC/Diploma in the relevant field (Painting and Sign Writing) and Vocational Training certificate or equivalent from recognized institutions with at least 2 years working experience in the relevant field. Form Four (IV) Certificate with at least 3 credits, plus FTC/Diploma in the relevant field (Handloom and Weaving) and Vocational Training certificate or equivalent from recognized institutions with at least 2 years working experience in the relevant field. Form Four (IV) Certificate with at least 3 credits, plus FTC/Diploma in the relevant field (Plant Operator) and Vocational Training certificate or equivalent from recognized institutions with at least 2 years working experience in the relevant field. Form Four (IV) Certificate with at least 3 credits, plus FTC/Diploma in the relevant field (Plumbing and Pipe Fitting) and Vocational Training certificate or equivalent from recognized institutions with at least 2 years working experience in the relevant field. Form Four (IV) Certificate with at least 3 credits, plus FTC/Diploma in the relevant field (Carpentry and Joinery) and Vocational Training certificate or equivalent from recognized institutions with at least 2 years working experience in the relevant field. Form Four (IV) Certificate with at least 3 credits, plus FTC/Diploma in the relevant field (Masonry and Bricklaying) and Vocational Training certificate or equivalent from recognized institutions with at least 2 years working experience in the relevant field. Job Purpose: To effectively and efficiently impart knowledge, skill and attitude in levels I - II of competence through proper interpretation of curricula and planning of training delivery in a view to attain VET objectives. xi. Provide cancelling to trainees through physical discussion and advising in order to give direction and guidance for the better life of our trainees; and xii. Prepare monthly, quarterly/annual financial progress report by consolidating progress station records for onward submission to the superior. Must have completed form IV with at least 3 credits or its equivalent; must possess Vocational Certificate or Trade Test Grade I & Vocational Teaching Certificate or FTC in relevant field; must have at least 2 years working experience in the relevant field. iv. Prepares food for students by cooking as per menu, and timetable and distribute to students leaders for consumption; and v. Carries out any other instruction related to his/her job as may be assigned to him by the Kitchen supervisor from time to time aimed at improving the overall performance of the section. Form Four (“O” level) Certificate PLUS Certificate in Catering/Hotel Management from a recognised Institution with At least 1 (one) year in Catering field. Form Four (IV) Certificate with at least 3 credits, plus FTC/Diploma in the relevant field (Electrical Installation) and Vocational Training certificate or equivalent from recognized institutions with at least 2 years working experience in the relevant field. Form Four (IV) Certificate with at least 3 credits, plus FTC/Diploma in the relevant field (Electronics) and Vocational Training certificate or equivalent from recognized institutions with at least 2 years working experience in the relevant field. Form Four (IV) Certificate with at least 3 credits, plus FTC/Diploma in the relevant field (Tool and Die Making) and Vocational Training certificate or equivalent from recognized institutions with at least 2 years working experience in the relevant field. Form Four (IV) Certificate with at least 3 credits, plus FTC/Diploma in the relevant field (Textile and Fashion Design) and Vocational Training certificate or equivalent from recognized institutions with at least 2 years working experience in the relevant field. Form Four (IV) Certificate with at least 3 credits, plus FTC/Diploma in the relevant field (Design Sewing and Cloth Technology) and Vocational Training certificate or equivalent from recognized institutions with at least 2 years working experience in the relevant field. Form Four (IV) Certificate with at least 3 credits, plus FTC/Diploma in the relevant field (Auto Body Repair) and Vocational Training certificate or equivalent from recognized institutions with at least 2 years working experience in the relevant field. Form Four (IV) Certificate with at least 3 credits, plus FTC/Diploma in the relevant field (Motor Vehicle Mechanics) and Vocational Training certificate or equivalent from recognised institutions with at least 2 years working experience in the relevant field.